Hello awesome people! Hope you had a lovely weekend spent however you wished ^.^ I ended up checking out the last of the sales (ended up getting a couple of cheap bits from Topshop, oops! 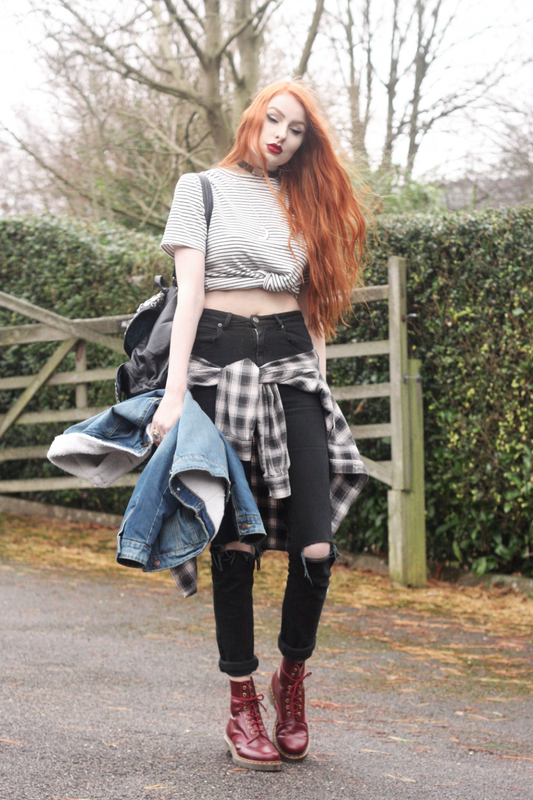 ), and this was the super casual outfit that I threw together for trudging round the shops. I’m finding that I’m rarely out of jeans recently – I blame the freezing wind, jeans just seem the easier option, haha! I’ve got quite a bit of content lined up for the next couple of weeks, so hopefully my ‘blog more’ resolution is about to come into effect – yay! How are you getting on with your resolutions? Next Post My Ultimate Travel Outfit. You rock the doble deminnnn like noone! This look is amazing! Love it! what a perfect outfit! i did not expect that a stripes-plaid-combination could look that good. i love the shirt!! 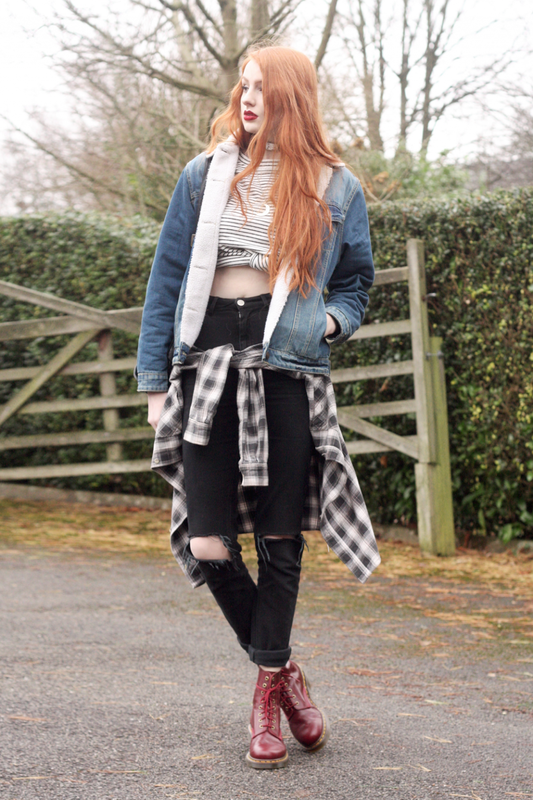 This is definitely double denim done right, love this combination! Such a lovely outfit,I adore your style so much! And well my resolution hasn't gone too well so far, as its to exercise more but.. I think everyday I've said ' i'll do it tomorrow' hehe! Love the double denim on you!